Because your support is acknowledged in United Way materials and at public events, you gain positive exposure for your company. You benefit from an enhanced commmunity image and alignment with one of the world's most recognizable brands. This public acknowledgement can help your marketing and employee recruitment efforts. Supporting United Way not only provides a means for your employees to give financially, but also an opportunity to volunteer and learn about services they or someone close to them may need. 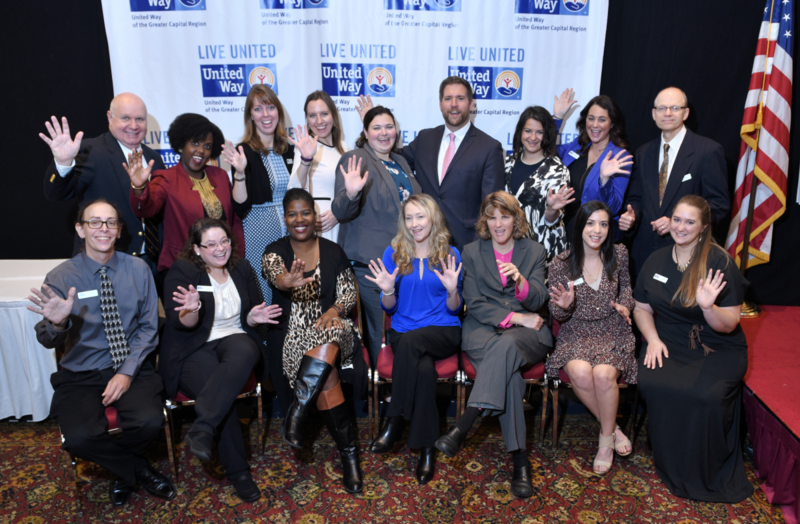 Because your employees may be benefiting from United Way-funded programs, you gain a stronger, healthier workforce. Since United Way dollars are raised and invested locally, the money you and your employees contribute makes our community a better place to live, work and grow your business. Contributing to United Way's Community Care Fund is the BEST way to do the MOST good with a SINGLE contribution. United Way studies community needs and tracks the results of donations to the Community Care Fund so donors are assured of accountability and results. To learn more about starting a United Way workplace campaign, contact a member of our Donor Relations team at 518.456.2200.